It is ALL Free PINCHme! This post is sponsored by PINCHme.com, I have been compensated to give my honest opinion…AND it is ALL FREE PINCHme! Being the tightwad I mean thrifty frugal person that I am, I’m all about trying things out before I actually commit to purchasing. I just want a taste, smell, feel or look at what a product is really going to be like before I’m “all in”! Well guess what?! Brands know this and they want us to try things out! As a matter of fact, they are so EXCITED to have consumers try them out, that they offer free samples…just for people like you and me! 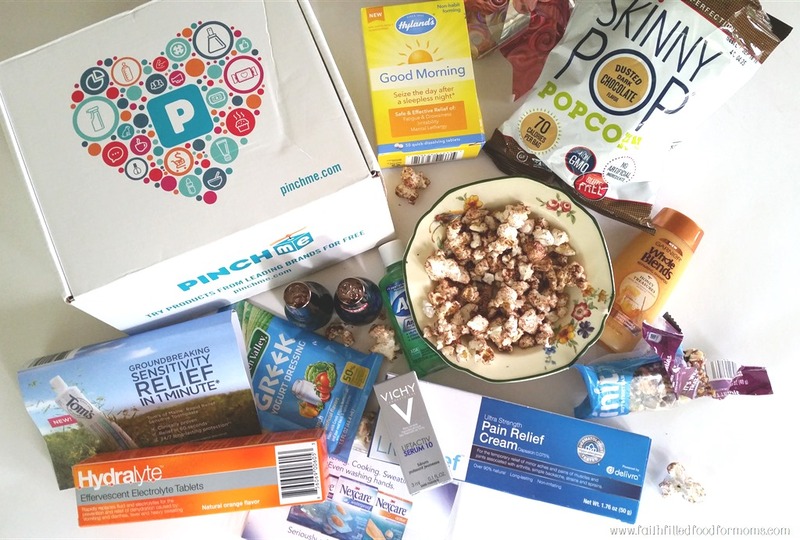 PINCHme.com is the perfect community to join to try out these samples! This is why I’m super excited to share with you about this FREE service that sends out a goodie box with FREE SAMPLES once a month! No I mean really FREE…even shipping! These samples include grocery, baby, pet, beauty, home and personal care items. So do you want FREEEE stuff?? Because I want to tell you what to do! This is what I received in my special Blogger PINCHme box. It is a combination of some of the samples from past, present, and future sample days, usually members receive 3-5 samples! It was super fun to open my PINCHme box! Simply hop on over to PINCHme.com, sign up (no credit card required), create a member profile, order free samples (make sure they are relevant to you and your style/needs), then give feedback! Ummm yes! That is it! Visit PINCHme.com for this month’s Sample Tuesday on August 16th at 12 Noon EST to claim new free samples! This is what is available THIS month! Samples are limited to availability…So get on over to PINCHme.com and claim yours!